We've all heard about the Three Wise Men bringing gold, frankincense and myrrh to Jesus at His birth but few know of the great significance of these rare gifts. Now you can give the same gifts the Wise Men brought to Jesus with the First Christmas Present™. 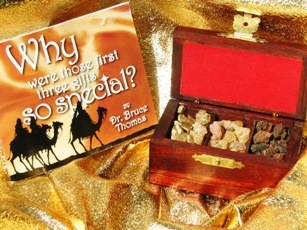 This unique and nostalgic gift is filled with real frankincense, myrrh, and a trace of 10k gold! The beautiful wooden box measures 3.6" x 2.13" x 2.5" and comes with an insightful booklet "Why were those first three gifts so special?" written by Dr. Bruce Thomas. 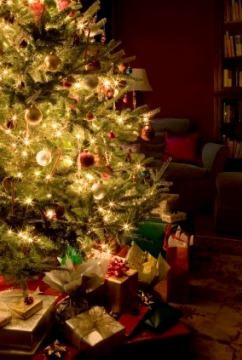 This 12 page, illustrated booklet is fascinating, and clearly shares the significance of the precious gifts and their great value at the time of Christ's birth. The First Christmas Present™ is a special, meaningful gift, that will be treasured for years to come!